Pushpagiri University was a prominent Buddhist seat of learning that flourished until the 11th Today, its ruins lie atop the Langudi hills, low hills about 90 km from the Mahanadi delta, in the districts of Jajpur and Cuttack in Orissa. The actual university campus, spread across three hilltops, contained several stupas, monasteries, temples, and sculptures in the architectural style of the Gupta period. The Kelua river, a tributary of the Brahmani river of Orissa flows to the north east of Langudi hills, and must have provided a picturesque background for the university. The entire university is distributed across three campuses on top of the three adjoining hills, Lalitgiri, Ratnagiri, and Udayagiri. 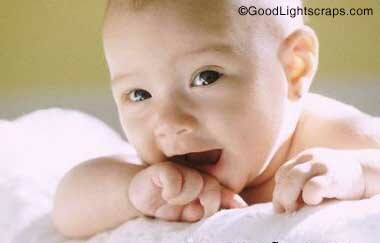 century in India. Puspagiri ranks along with Nalanda, Vikramshila and Takshila universities as one of the primary institutions of higher learning in ancient India. The three universities were mentioned in the travelogues of the famous Chinese traveler Xuanzang (Huien Tsang), who visited it in 639 CE, as Puspagiri Mahavihara, as well as in medieval Tibetan texts. However, unlike Takshila and Nalanda, the ruins of Puspagiri university were not discovered until 1995, when a lecturer from a local college first stumbled upon the site. The task of excavating Puspagiri's ruins, stretching over 143 acres (0.58 km2) of land, was undertaken by the Orissa Institute of Maritime and South East Asian Studies between 1996 and 2006. It is now being carried out by the Archaeological Survey of India (ASI). ASI has launched a major conservation effort, and as of 2007, in the process of acquiring more land in the university's vicinity. Once fully unearthed, the site is expected to become a significant international tourist destination in India. The state government has initiated an annual Buddha Mahotsava at the site. There are other Buddhist attractions around Langudi hills, the site of Puspagiri. Kaima hill in its immediate vicinity contains a unique rock-cut elephant surrounded by four monolithic khondalite pillars, and dates back to the Mauryan period in the 3rd century, B.C. Deuli, a hill situated in the confluence of the Brahmani and Kimiria rivers, has preserved five rock-cut Buddhist chambers inside caves. Some more Buddhist sites have also been discovered at Bajragiri, Sarapur and Paikrapur. The Langudi sites are perhaps the largest historic Buddhist complex in India. Langudi can be approached from Jaraka and Chandikhol on the National Highway 5, and are easily accessible from the urban centers of Cuttack and Bhubaneswar. The best months to visit the place would be during October and February. As of 2007, the ruins of this university have not been fully excavated yet. Consequently, much of the university's history remains unknown. Of the three university campuses, Lalitgiri in the district of Cuttack is the oldest. Iconographic analysis indicates that Lalitgiri had already been established during the Sunga period of the 2nd century BC, making it one of the oldest Buddhist establishments in the world. The recent discovery of a few images of the emperor Ashoka are a major find. Based on this find, it has been suggested that the Puspagiri university may have been commissioned originally by Asoka himself. At one time the vast kingdom spanned from Ganga to Godavari. The flourishing maritime trade with South-East Asian countries i.e. Java, Bornio had brought in a golden era of affluence and opulence. It has also shown its military strength and prowess during Buxi Jagabandhu, period of the warrior of Khurda Paikas. The glories of Orissa ended in later half of 16th century. Two centuries later the British administered the final blows by dividing the original territory in to several administrative units. 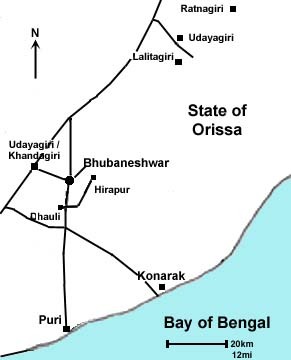 In 1936, ultimately an independent state Orissa was constituted as a separate province by carving out certain portions from the provinces of Bihar, Orissa and Madras. As centuries rolled by, Orissa continued to invite heros, Scholars and prophets alike. Famous Kings like Samudra Gupta and Harsha Siladitya came to Orissa on political missions while scholars like Prajna and Hieuen-Tsang came to learn at centers of learning. Hieuen-Tsang, the famous Chinese pilgrim of the 7th century who visited Orissa was surprised to see the University of Puspagiri imparting knowledge to innumerable scholars now lying buried under Buddhist complex at Ratnagiri-Lalitgiri-Udayagiri. Various prophets visited Orissa, the significant among those visits is the visit of Adi Sankaracharya in 9th century to Puri to make it a center of his mission and a towering citadel of his spiritual ideology & message. He established four monasteries in four corners of Indian Peninsula out of which “ The Gobardhan Pitha” of Puri was one of the most significant. Another Great Saint Ramanujacharya, the propounder of Visista Dwaita philosophy also visited Puri and established the Emar Matha. In the same century Jayadev composed his world famous lilting treatise “Gita Govinda”. Subsequently in 16th century Sri Chaitanya, the exponent of the Bhakti Cult came to Orissa and made Puri his abode for last 18 years of his life. His contemporary Pancha Sakha i.e. Sri Jagannath Das, Sri Achyutananda Das, Sri Balaram Das, Ananta & Yasobanta were spiritual stalwarts and literary luminaries of the time. Kabi Samrat Upendra Bhanja, Kabi Surya Baladev Ratha, Radhanath Ray, Fakir Mohan Senapati, Pandit Gopabandhu Dash, Pandit Nilakantha Das, Godabaris Mishra, Kalandi Charan Panigrahi, Sachidananda Routray & many others have contributed substantially to the language & literature of Orissa. Utkal Gaurav Madhusudan Das was the architect of Modern Orissa and subsequently Sri Nabakrushna Chowdhury, Dr. Harekrishna Mahatab, Sri Bijayananda Patnaik & others engineered their best efforts for catapulting Orissa to himalayan heights of fame & glory. In fact, Orissa has become a multi dimensional, multi coloured, many splendoured, vibrant & boisterous modern state all set on its journey in the present millenium to make its presence and voice felt in the nooks & crannies of the world through the Universal Cult of brotherhood, its unique cultural heritage, luxuriant forests & wild life, sprawling Chilika Lake, bountiful coastline, wide range of tribes & colourful canvass of art & culture. Orissa has been resurgent again rejuvenating and resuscitating its ancient glory, glamour & greatness. SAY Orissa, and one thinks of Odissi dance, Chilka Lake and the Sun Temple, Konark! But, wait! Orissa is that and a lot more. It is a symbol of our great cultural past, our ancient history, art, sculpture and scenic grandeur. Orissa vibrates with a cultural heritage that has blended harmoniously with the march of time. It has, as a blurb on a tourist pamphlet asserts, "subliminal integration of exotic past with contemporary strength". Buddhist monasteries, Jain caves, rock edicts, and wonderful temples make Orissa a veritable haven for the lovers of past mysteries. On reaching Bhubaneshwar, the capital of Orissa, a tourist comes across references to The Golden Triangle and soon finds out that it means the Bhubaneshwar-Puri-Konark triangle which makes an excellent base for starting off on your dream trip. It is the temple city Bhubaneshwar that calls for attention, dotted as it is with temples — big, small, ancient and in clusters. As the city bustles with modern life, the skyline awakens curiosity with its sky-kissing spires of the Lingaraja Temple, the white-domed Peace Pagoda on Dhauli hill and the pink hue of Mahavira Jina on the Khandagiri. The three epitomise the advent of Hinduism, Buddhism and Jainism during different periods of Orissa history. AY Orissa, and one thinks of Odissi dance, Chilka Lake and the Sun Temple, Konark! But, wait! Orissa is that and a lot more. It is a symbol of our great cultural past, our ancient history, art, sculpture and scenic grandeur. Orissa vibrates with a cultural heritage that has blended harmoniously with the march of time. It has, as a blurb on a tourist pamphlet asserts, "subliminal integration of exotic past with contemporary strength". Buddhist monasteries, Jain caves, rock edicts, and wonderful temples make Orissa a veritable haven for the lovers of past mysteries. The Buddhist complex atop the hill of Ratnagiri (map) was once an important Buddhist university, visited by the Chinese traveler Xuan Zong in 639 AD. It contains three monasteries, a temple, a large stupa, and numerous smaller structures. This photograph shows the entrance to Monastery 1, the largest in the complex. Originally the building had two stories, although the upper one has now disappeared. The entrance faces south, and leads to a green chlorite doorway (center of photo). Within is a large courtyard, surrounded by monks' cells. The principal shrine contains a large Buddha image and is located off the north side of the courtyard. A number of fine sculptures are kept on site and in the local museum, the remainder being distributed to museums in Bhubaneshwar and Calcutta. The original brick structure dates to the 7th/8th century, while the stone facing on the walls and interior is from a later rebuilding. The complex fell out of use from the 12th century onward, when Buddhism disappeared from India under the twin pressures of Muslim invasion and Hindu resurgence. The bodhisattva may be identified as Vajrapani by the shapes of his crown and lotus flower. His upper right hand grasps a rosary, while the lower right hand displays varada mudra in front of an open lotus. 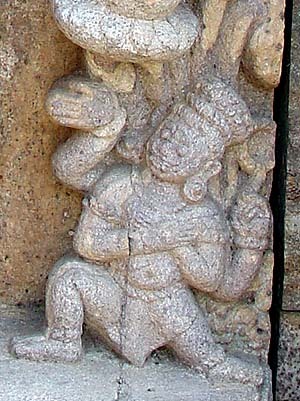 His lower left holds the handle of a chauri, again presented on a lotus. Above the bodhisattva are two meditating Buddhas on lotus thrones; at his feet are two kneelng figures. Sitting at the Bodhisattva's feet are his usual companions, Tara and Brikuti, each with four arms. The standing attendant is probably Hayagriva, a fierce form of the Bodhisattva, although his typical horse-shaped hair ornament is missing here. This lovely Tara comes from a partially-damaged statue of Avalokiteshvara (full view) that is near the one pictured on the previous page. The seated, two-armed Tara extends her right hand in varada mudra, while a lotus flower curls above her left shoulder. The features of the small statue seem typically Southeast Asian; as a center of learning, Ratnagiri was visited by Buddhist travelers from that region, and there were political and trading ties between Orissa and SE Asia at this timeThe celebrated green chlorite entrance to the monastary pierces the south inner wall as seen here. The following pages show some closeups of the decoration on the gateway and surrounding walls. The monastery's inner shrine is the shadowed area visible across the courtyard through the gateway. The three nature-images, shown here, are found in both Buddhist and Hindu art. Their common meaning is "prosperity:" the River Yamuna brings fertile soil and fish to the land; Kubera is a yaksha (nature-spirit), the guardian of buried treasure, as indicated by the pots beneath his throne; and Lakshmi is the goddess of wealth, symbolizing the life-giving monsoon (elephants = storm clouds) that anually revitalizes the land. The image of prosperity through nature's abundance is also, of course, carried out on other decoration of the temple such as the foliage, chauri-bearer, birds, and pots on Kubera's wall. At least two of these images also have more specific meanings within the Buddhist tradition. Gajalakshmi is usually understood in Buddhist symbolism as representing the birth of the Buddha, and Kubera was adopted into Buddhism as Panchika, representing the wealth of enlightenment. While (as usual in India) all possible meanings really apply at once, in this case the overall symbolism of "prosperity" seems to predominate over any specifically Buddhist understandings of these figures. Lively acrobatic figures are swinging on the foliage. Elsewhere on the frame of the doorway, an acrobat "moons" the spectators (closeup). The doorway is carved from several blocks of stone, as is evident from the photo. Two different kinds of stone were used, as shown by their contrasting colors. It seems odd, however, that the design would have been interrupted in this way. The green stone is chlorite, the same stone that is used for the large images of Surya at Konarak. The brownish stone is khondalite, which outcrops on the hills. The statue of Shakyamuni, in bhumisparsha mudra, was carved from separately fitted blocks of stone. Its face was deliberately damaged in the 13th century by iconoclastic Muslims. This imposing head of Buddha is displayed along the edge of the monastery courtyard. The prominent bulge of its eyes, hidden behind downcast eyelids, seems to hint at the Buddha's contemplation of inner mysteries. The Buddha sits in bhumisparsha mudra beneath a stylized Pipal tree (above his halo). Decorations include flying celestials, birds with elaborate tails, gajasimhas with riders, lions, and worshipers along the base.